On most blogs you will find positive reviews. Often reviews fuelled by a freebie of some kind - where the writer feels obliged to say nice things even if they don't fully like the product or experience. As much as I like writing reviews, the one thing I always strive for on here is honesty. If I am gifted an item or experience, I won't necessarily gush on about how amazing it is - unless I 100% think so myself. Because I have no desire to lie to you, or myself. And I write reviews of my own accord - most of my reviews are actually based on a a purchase I have made myself rather than a freebie or other incentive. As you know, I am no stranger to a Flaming Grill Pub. I have eaten at them many times before and I can't fault their value for money - the sheer amount of food you get for your buck. I wrote a review back here praising their World Cup burgers. However after a more recent visit, I had a less good experience where I felt ripped off. 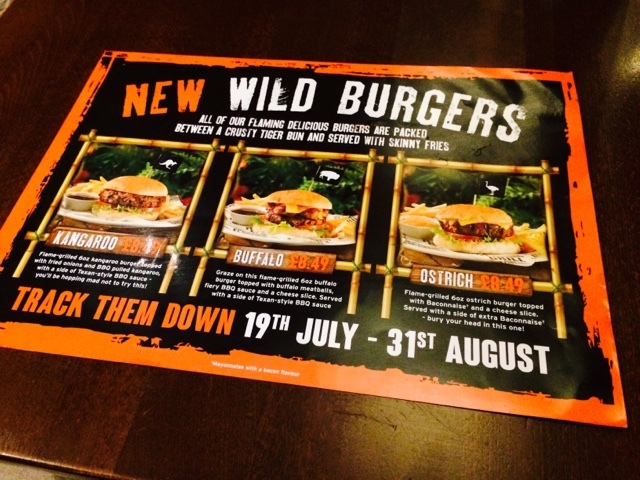 What attracted me on this particular visit was their limited edition wild burgers menu. I am no stranger to alternative / exotic meats like crocodile etc. 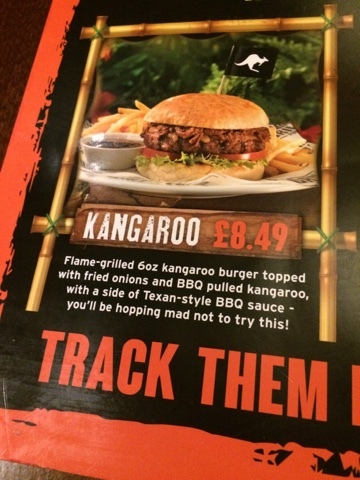 Their kangaroo burger appealed the most to me (once I got the idea of a cute hopping critter out of my head!) as I've tried kangaroo meat before and really like it. I hadn't tried it in pulled form before though and BBQ sauce is always a winner. 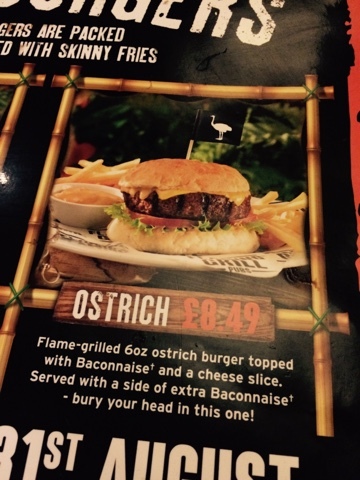 Ostrich is ok, but isn't my favourite meat. However the baconnaise was a nice idea to boost quite a plain meat which could easily be compared to chicken! Buffalo is nice, but can be quite fatty (depending on where you go for it!). 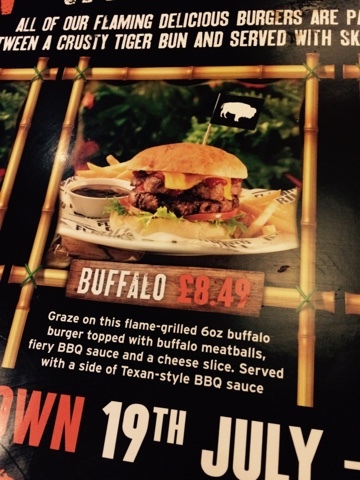 The fiery sauce meant this wasn't the burger for me... but I did like the sound of the buffalo meatballs. 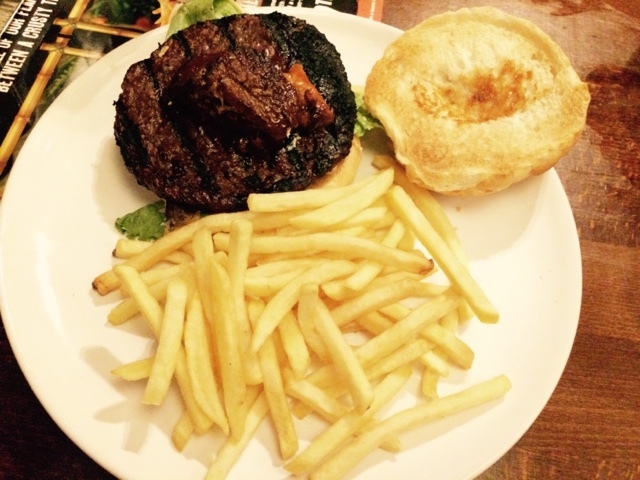 I ordered the kangaroo burger and paid up front (as is normal in a Flaming Grill Pub). After a considerate wait (it wasn't even that busy!) someone approached me and told me that they'd run out of pulled kangaroo. Deeply disappointing, but what can you do? The meal was already paid for. I just wish that I'd been told this earlier. They did however offer me pulled pork instead which I was grateful for. Eventually the burger comes out and sitting atop the burger, it's not even what I'd call pulled pork - it was a solid block of meat. Definitely not pulled. Traditionally pulled pork falls apart and is in a nice BBQ sauce - but theirs was dry as a bone, and quite chewy / tough. And the burger itself? Bland. It had zero taste. I've had kangaroo before and found it to be really tasty compared to the majorly over-cooked burger put in front of me. In fact their burgers were so burnt, I had to cut lots off and waste it. I will spare you a picture of what I found next.... a foreign hair. And this definitely couldn't be one of mine as it was.... under my chips. Ew. As this stage, I was pretty fed up. The pub did their obligatory check when they come over and ask: is everything ok? I told the guy: no, it was not. 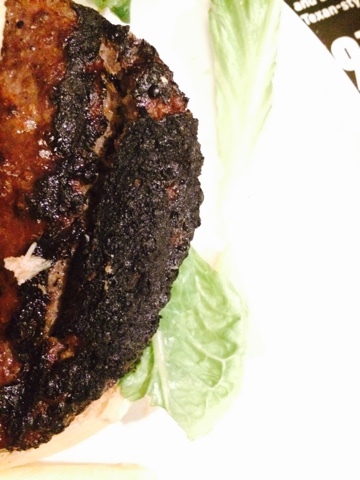 I mentioned that the burger was really overcooked, how it was in fact burnt (and everything else!) and he just says ok and disappears. He doesn't report it to the kitchen or to senior management. He doesn't apologise or have someone else come over to apologise. Appalling customer service and a massive waste of money. And they couldn't even play the busy card as an excuse - it was a Wednesday night and pretty damn quiet. 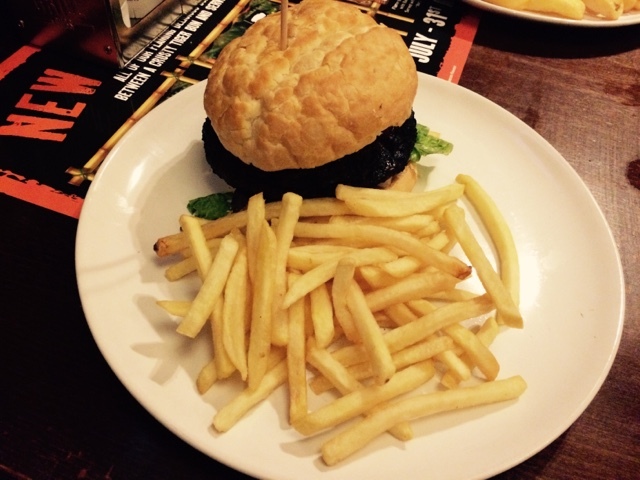 This was the night before we went away on holiday, wanting a good hearty burger. Instead we didn't get the burger we were after, were offered a substitute which wasn't prepared properly, and a burger itself that was so burnt we couldn't eat fully. And once I discovered that hair, it turned my stomach and I didn't want to eat another bite. And worse still..... Wednesday nights are their speciality burger night. Laughable. I don't want any of my UK readers to experience the shoddy service I received. I normally wouldn't go this public with such a complaint, but it was dealt with so badly. We weren't offered any sort of goodwill gesture despite me taking it to head office. The Flaming Grill Pubs' motto is "licenced to grill". And they have that right. In this case, grilled within an inch of its life. This is one pub chain that isn't licensed to thrill. Avoid. Their solution: to call me up and apologise over the phone. Which is all good and great, but they should have refunded my meal or given me a voucher to encourage me back. Because I haven't gone back since!